Ragin’ at the Baby Rave!!! Developed by Young at Art for the Belfast Children’s Festival, BABY RAVE is a unique interactive dance and music event for babies as well as children under 4 and their parents. 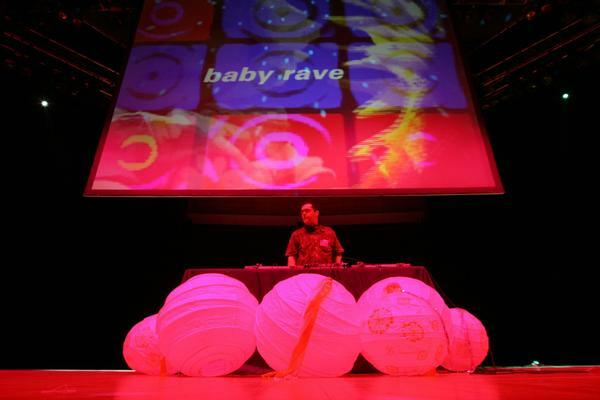 Created to fill the gap in events for the very young, the rave also hopes to meet the needs of the baby ravers’ parents, whose enjoyment of the contemporary music scene and club life has been suspended because of caring for thier little club goers. 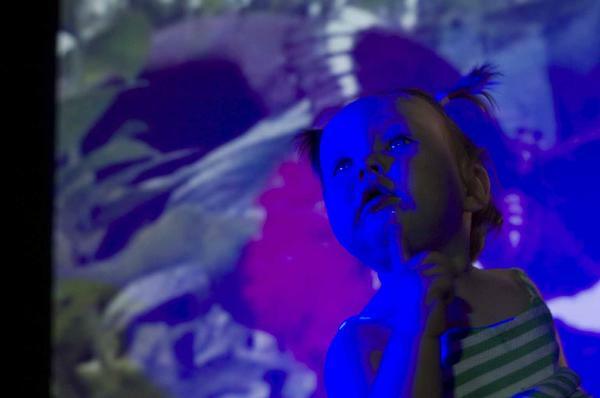 It’s a real child sized rave complete with music, lighting, projections and a DJ. A total ambient environement where floor areas are partially covered with soft materials and sensory toys like parachutes and inflatable balls are incorporated. 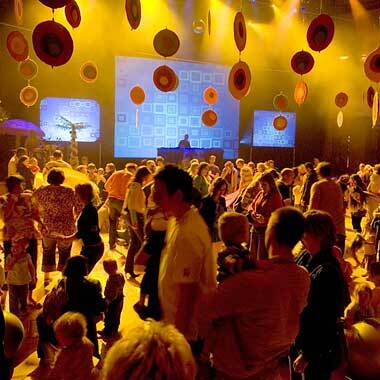 Similar to an adult rave where dancers encourage the crowd, trained dance facilitators move through the party encouraging families to try different movements and to experiment with rhythms. The 60 minute long event has experimented with bollywood, cuban music, and afro beats. Who knows what’ll be NEXT??? ?